Capture that laid-back, island feeling as your guests recline in comfort and you pour the drinks with Panama Jack’s Island Breeze 3-PC Swivel Bar Set. A pioneer in casual patio and outdoor furniture, Panama Jack utilizes high quality materials and the laid-back traditional island allure to design durable, inviting pieces built to last. Featuring powder-coated aluminum framing and exclusive top-quality Phizer sling material that is both weather and UV resistant, this set can sit through extreme weather without worries. 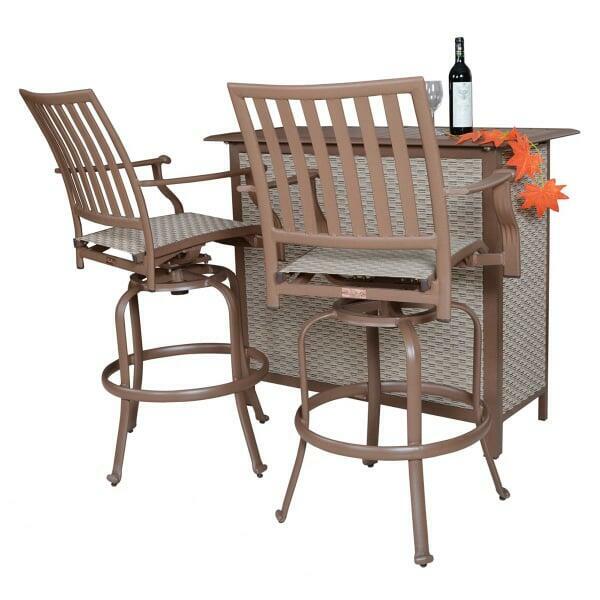 The bar stools feature a smooth swivel design that allows your guests to move in comfort. Sail away to island relaxation with Panama Jack’s Island Breeze 3-PC Swivel Bar Set, an ideal asset for your outdoor living area. W 21" x D 23" x H 47"
W 48" x D 21.5" x H 40"
This item requires freight delivery. This shipping method uses a full size semi - truck, and product can be delivered to a street side location, or into a room of choice, based on the level of service requested. A representative will call to schedule your delivery, which will require a signature upon receipt. Most delivery times within the Continental U.S. range from five to seven days on in-stock merchandise. 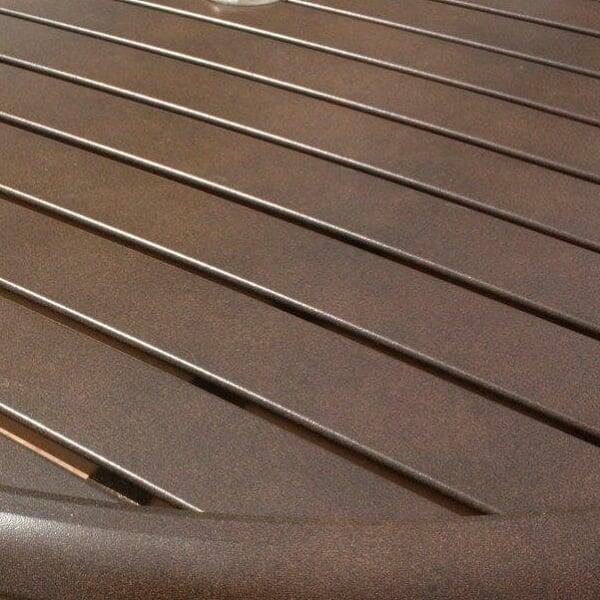 Special order patio furniture ranges from two to six weeks, depending on manufacturer.